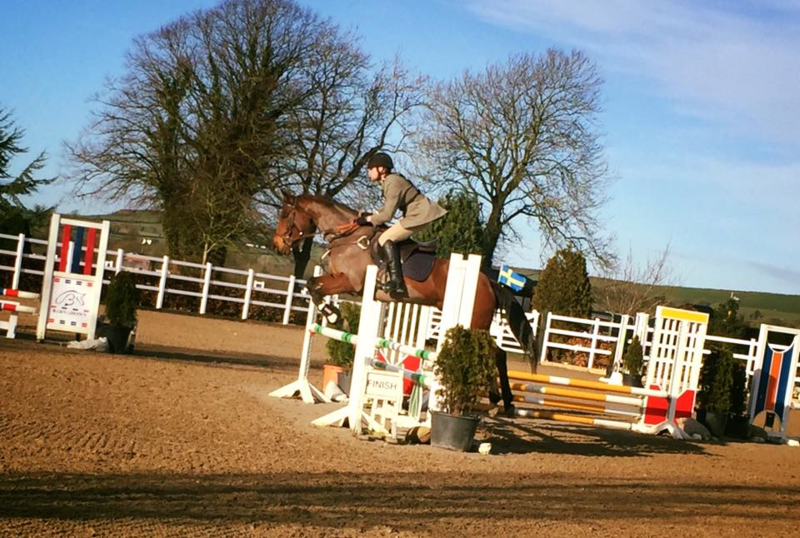 Brenden Bergin our saddle distributor in Ireland, continues to advance in riding competitions as well as coaching certifications with his nine year old Excel and five year old Elite saddles. He says: "...my qualifications have increased as I am now a BHSI (International Level Three Coach). Still loving my saddles!" 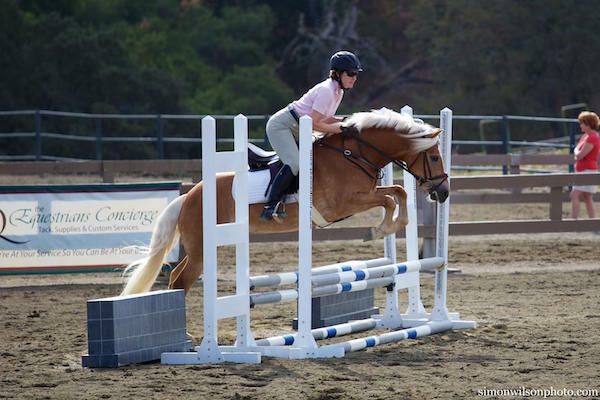 "My daughter and I were lucky enough to 'rescue' our favorite mare, Lilly from the Culver Academies herd when we left and she has been ridden in nothing but my Ansur (Elite) ever since. Well ... except for once, that is. My daughter was a typical skeptical teenager and one day she tried her friend's treed (Crosby) that she was sure our mare would go as well in, but was forever convinced of the power of the Ansur when all of Lily's anxious, run-away tendencies returned for that ride. She's never tried another saddle since. She had the same experience with an ornery young gelding last summer, he couldn't bear a rider in any saddle except my Ansur. I am forever convinced of the therapeutic qualities of your product!" Sandy R.
Hi Carole, The picture above is me and my haflinger at the recent Woodside Summer Invitational Show at the Woodside Horsepark. 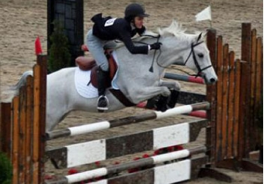 She was a trifle over enthusiastic about the jump, but look how happy she is in her Ansur Elite! I received my new Ansur Elite on Friday, 8/24/12. 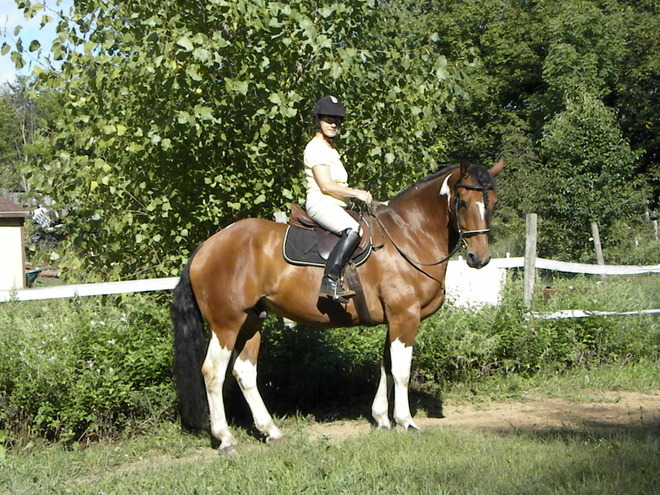 I like to jump, do a lot of hunter paces and X-country, so I was somewhat concerned about how stable the saddle would be under rigorous conditions, as most people who have always used a treed saddle are. 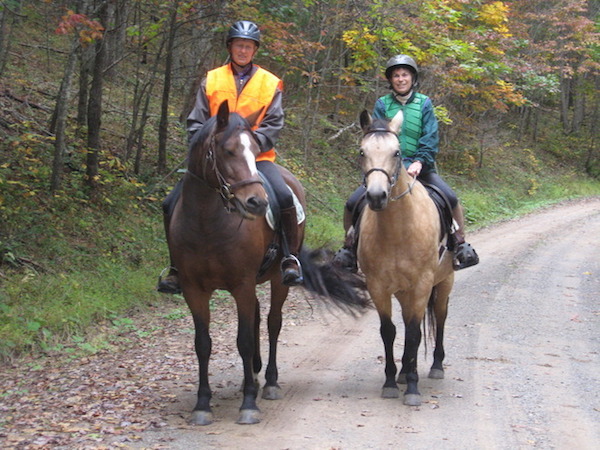 My second ride in the saddle was Saturday, 8/25/12, and I got my answer in a most spectacular way! I was riding in my outdoor ring, working on routine flat work. I asked my gelding for a halt, but didn't realize we had halted over a newly formed ground bee's nest. We were standing quietly there for a few seconds, when he suddenly started kicking and bolted like a rocket down the rail and started bucking and pitching like a rodeo bronc. When we reached the end of the ring he started rearing, nearly going over backwards at one point. Leaning forward I managed to tip his balance forward, but then he started spinning 360's that would have made a reining horse proud! I managed to pull his nose to my right knee, but instead of stopping he kept trying to spin and nearly fell over sideways, at high speed. I let go just in time for him to catch his balance enough to launch into the air again, all four feet coming off the ground and head down. He showed no signs of stopping. During one of his bucks I was leaning precariously off his right shoulder and looking at the ground thinking, "If I go off I'm dead. If I don't break my neck he'll stomp me into the ground cause he's so out of control he won't even see me"! So, fear alone made me sit back up and take hold of him again, and this time I managed to get his head around and slow his bucking enough for me to jump off. Only then did I realize what had happened as he still had several hornets on his sides, belly and flanks. I can honestly say the first two things that came into my mind as my feet landed on the ground was "Wow, at 63 I can still ride" and "Wow, what a great saddle" The saddle never moved a bit! It stayed right in place through all of his rodeo spectacular, even when I was leaning off his shoulder!! I can't thank you enough for making such a great saddle - one that is comfortable for both of us and safe as well. Kudos!! Keep up the great work. My daughter Hannah bought the first Ansur® classic last fall. Sail'em, the Shire cross, made the complete change from "flaky" to "forward". We decided my next daughter need one for her fat, no withered, Haflinger pony. Then of course I needed one, for myself because my daughters occupied the other 2. I really have to give all the credit to my daughter Hannah, because if it wasn't for her persistence in purchasing the original Ansur, Sail'em would still be hurting today and God only knows where he may have ended up....makes you wonder sometimes about these "problem" horses. So now Hannah is convinced training is her calling not only trained Sail'em to be the awesome jumper he is, but a hunter pony, a 2 year old Georgian grande, and a 3-year old pinto Saddlebred mareHannah is only 16....... I am proud of her and her accomplishments thus far and I think she will reach her goal someday of being a true trainer..... One who listens to horses.....not just one who "breaks" them. The Ansur® is her first rule for saddle starting our horses. They will never know pinching or pressure sores. 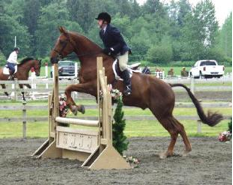 In 2009, Rachel Fleszar, age 16, was already an accomplished rider and competitor on the pony jumper circuit with her mount, “Valley Girl" aka “Currie", a 1994 Welsh-TB cross mare. When Rachel and her mother, Ruth Fleszar, moved Currie to Gale's Equine Facility in Big Flats, NY, the move provided them with more than just a shorter drive to the barn. They learned how the techniques of classical dressage would improve Rachel's riding. They also noticed that most of the riders at Gale Wolfe's rode in Ansur treeless saddles. What was up with this? Currie had a reputation of having a “cold back" and she had all the normal “industry" treatments to make her comfortable. Currie's disposition was so miserable and her back was so sore that she was donated to a local veterinary college and later ended up as a school pony at Rachel's former riding stable. Rachel and Ruth saw something in the pony and bought her in spite of Currie's clear demonstration of her dislike of being ridden or jumped. They continued to treat Currie's back issues, even though her beautiful, well-fitted treed saddle was ruled out as the cause of her problems. They even rode with a well known “shock absorbing" pad under the saddle. Currie wanted to do the job for Rachel, and bless her heart, she did–even though she was hurting. After a couple of months, Gale recommended and Rachel agreed to try out an Ansur jumping saddle called the “Elite". The improvement in Currie's movement was immediate. Not only did her jumping get better, but also her disposition. And most significantly, the soundness of her back improved, verified by an equine chiropractor. 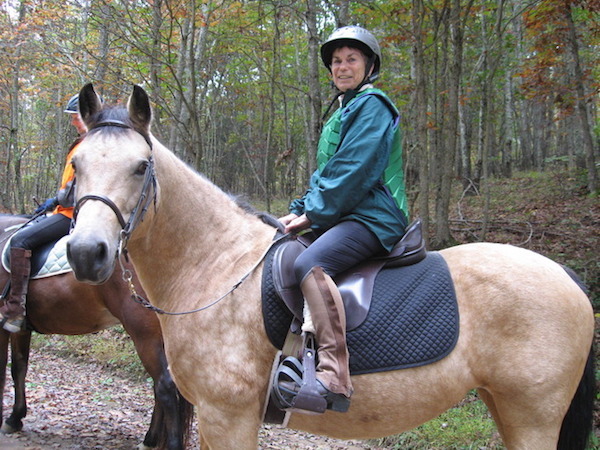 From October 2009, Currie was ridden exclusively in Gale's Ansur Elite saddle. In February of 2010, Rachel got her own Ansur Elite. Currie's jumping continues to improve. Formerly Currie had to be ridden in a jumping hackamore so Rachel could slow the pony down as she raced through the jumps. Now, Currie is schooling first level dressage, competing and winning the pony jumper events in a French link snaffle. 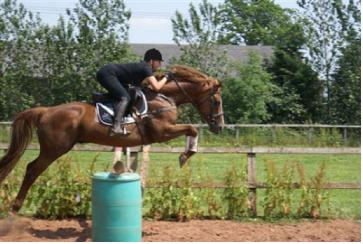 Currie shows a happy expression with great form over her jumps.The miserable disposition is gone! When riding dressage, the pony rounds up softly, brings her back up and stretches into the bridle. People often ask about the stability of the Ansur saddle. The Elite is very stable. 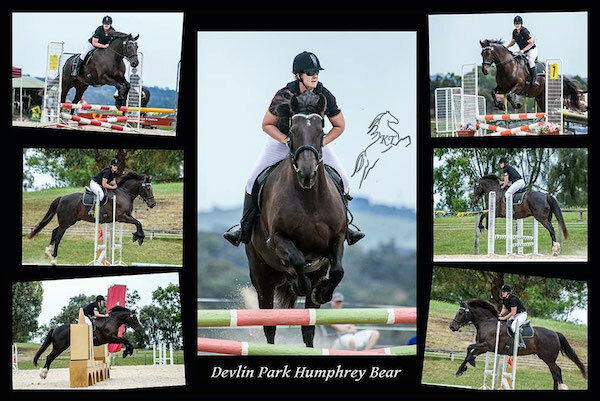 See for yourself by viewing the sharp turns ridden by Rachel in this Once again.... the Ansur saddle IS the answer. We have a 6 year old Morab that was "out of control". North Star's Legacy (barn name-Tucker) was the Reserve National Champion 2 y.o. He was showing as a 3 & 4 yr. old. As he matured so did his back and saddles were being used and traded as he grew. He began leaping, bucking, pinning his ears and generally wanted both saddle and rider off of him. He was very convincing! I was told at a custom saddlery he couldn't be fitted. I bought saddles, sent them back and became quite depressed. Barb O'Day is our local Ansur® dealer. With her help and that of another Ansur® owner we tried your saddle. It was an almost immediate positive reaction from Tucker. Within 2 lessons he was no longer bucking nor wincing when the saddle was in place. It was incredible. I borrowed an Ansur® to be sure we were making a wise investment. Both the dressage and the hunt seat Elite were worn with ease. Tucker returned as the beautiful horse we once knew. My daughter's confidence has risen immensely from the safe rides and instruction given by Barb. Tucker was shown in Sterling, ILL the weekend of September 22-24. My daughter rode him in the Ansur® saddle. They came back with 3 National Championships and 1 Reserve Championship! What a great accomplishment in such a short time! All thanks to Ansur® and Barb O'Day. I rode in the Elite again yesterday and will do so again this afternoon in the other size. Mars is a different horse under that saddle. The canter work is where I see the biggest improvement. I think because his withers go so far back that the normal underside must allow my weight to push forward and downward on the withers. He normally shoots forward in the canter and I have a hard time keeping him soft. In the Elite, he is able to perform a loose rein canter with his head on the ground and maintain the same speed. He also gives really nice downward transitions to both the trot and walk. Unbelievable! I have NEVER seen GL jump as well as he does in his new Elite. Here is him just playing at home…show pictures to follow. "